With the rise of U.S. internet users paying for ad blockers – currently at 26% and projected to grow to 30% in 2018, the impact to advertising could be jarring; Juniper Research predicted ad-blocking could cost publishers $27 billion in lost ad revenue by 2020 globally*. So, we wondered; is this an opportunity for website publishers to get more creative with advertising options on their sites that will still allow for users to see advertisers’ messaging? We asked some leading publishers their thoughts. Our media team at Watauga Group was curious if this shift has been causing sites to look at their digital ad revenue strategy differently. We all remember when TV was presented with this same dilemma; with the proliferation of DVR time-shifted viewing, how to deliver their valued advertisers’ messages in a format that the viewer will see and recall. We saw a shift in both network and local broadcasters, implementing more program integration and product placement in television shows – and locally, things like logo placement in local news that appear behind the meteorologist throughout the weather report, or clever in-program ad placement across the bottom of the screen. The responses? Yes, and some have already been doing this for some time in anticipation of the rise of their audiences using ad blockers. But also, because they thought it was important to their advertisers to offer something beyond banner ads, and to offer them a gateway to engage with the reader in a compelling way. 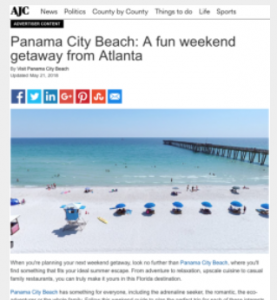 AJC.com and their family of sites which also include Dayton.com and AccessAtlanta.com, were one of the first in the custom content space. The New York Times published their first native advertising piece in January 2014 (for those of you wondering, the advertiser was Dell.) Soon after that, in April of 2014, the AJC published their first piece of custom content, for SCAD (Savannah College of Art & Design). Garden and Gun, a media company the celebrates the modern South and has a strong following in their print publication as well as their website, with almost half a million unique visitors per month- and has significantly increased the amount of sponsored content on their site over the past year. They viewed it not only from the perspective of making sure their advertisers can still engage with those using ad blockers, but also because they know the effectiveness of it for their sponsors, and the relevant information it provides their readers. Every publisher we spoke with was clear that there have been internal discussions about implementing more creative ideas for site integration for their advertisers, including more native placement, page skins, and custom content. Hearst’s digital family of sites, which include local TV sites, gave much consideration to this when they went through a recent site redesign. Some sites we spoke with such as TexasMonthly.com, AccessAtlanta.com, and Dayton.com, have active programs in place to serve users with ad blockers an interstitial message asking them to whitelist their website (which would then allow those users to see the ads on the site), and they have seen some measurable success with that tactic. Some others, such as Garden and Gun, have had initial discussions about how best to communicate with users with ad blockers. 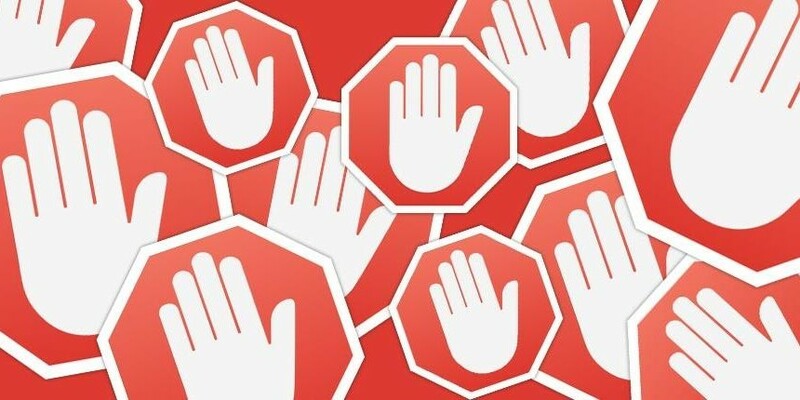 There is uncertainty among those we spoke with as to whether the usage of ad blockers will continue to grow; some don’t see it as a threat, while others feel it will continue to grow steadily. And while the use of ad-blocking software has largely been a desktop issue thus far, mobile ad blocking is increasing slowly but surely. All feel, regardless of the rate of growth, it will be a priority into the coming year. But everyone seemed to feel that it’s inherent upon all website operators – and advertisers – to adhere to guidelines defined by groups like IAB and the Coalition for Better Ads. The goals of those groups are to promote more relevant and non-disruptive advertising, with the belief that the consumer experience will be improved, and ad blocking will likely level off in coming years. After all, consumers don’t block things they enjoy! Of course, the move towards more native custom content beyond banner ads is smart for everyone, most of all benefitting the advertisers who have a chance to tell their brand story using content in a familiar, comfortable environment to the user, rather than just asking people to click on an ad and go to their site. We look forward to seeing this evolve to increase opportunities for advertisers to provide more engaging content for the consumer, which will ultimately help their brands.